Our emergency locksmith services are available for drivers, residents and business property managers throughout the area. If you are locked out, just give us a call and we will arrive in less than half an hour to get you back inside. We can also provide on the spot key replacements, emergency lock changes after a break in, and a whole lot more! When it comes to lock services in Pflugerville TX, we are your top choice! We can install or repair a complete range of lock types for your home or commercial property. We can help you choose new stylish mortise or we can upgrade your security system to include new high-tech, keyless entry locks. No matter what type of locks you are interested in, we’ve got you covered. Find out more about your favorite Pflugerville locksmiths. We are committed to upfront prices, high-quality workmanship and friendly customer service. You can always count on our licensed, bonded and insured technicians for all of your lock and key needs. Helping our neighbors in Pflugerville is our mission and we are here for you 24/7. We are your top choice for lock and key assistance for your home! Whether you are locked out or you need help dealing with a broken key, you can always count on us to arrive fast and take care of your problem. Basically, we will do everything we can to help keep you and your family safe. Our commercial lock system experts are dedicated to helping you keep your business running smoothly. We can install or repair access control systems, automatic door closers or any other system that your business might need. And, we are available at any time that works for you. 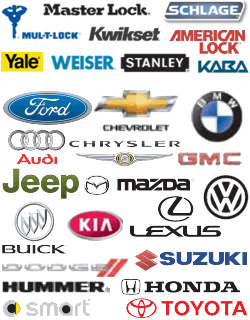 We have the fastest automotive locksmith services around! Call us for emergency car lockouts, or we can come to your location and replace lost, stolen or broken car keys. We even have the tools necessary to replace transponder and laser cut keys. FILL OUT THE FORM BELOW FOR GENERAL INQUIRIES, OR CLICK HERE FOR DETAILED SERVICE REQUESTS.